Can moving house be actually amazing? People facing an imminent household move usually do not see it as a pleasant undertaking due to an excessive amount of stress the move itself might cause. Typically, people associate moving house with negative feelings and they expect a series of bad things to happen throughout the relocation process. Sometimes they are so focused on their pessimistic perception of the move that they fail to realize why this household move is beneficial for them. A household move is a new opportunity for you to do things differently and to arrange your home the way you’ve always wanted to. At first you may not realize that maintaining a positive attitude is vital for a successful household move. Hopefully our list will help you discover all positive things that come as a result of the move. – A household move means an opportunity to enjoy the change and start over. If you are moving home for a job or whatever reason your life is about to change significantly – your habits, day-to-day activities, surroundings,… Make the most of change by improving some of the most annoying negative behavior patterns of yours and by doing things that you’ve always wanted to. – Moving house gives you a chance to reassess your finances as well as your spending habits. If you are moving to a more affordable smaller city, you are likely to save some money in the long run. On the other hand, if moving to a new city brings higher living costs you will need do come up with an efficient financial plan and calculate your budget. – Discovering an unfamiliar city or neighborhood can be quite an adventure. After you have spent so many years in the same neighborhood, moving to a new one will be a breath of fresh air for you and your family. – While making an inventory of all your possessions you are likely to bump into things you thought you would never see again. Also, rediscovering items you haven’t seen for ages can be very exciting. 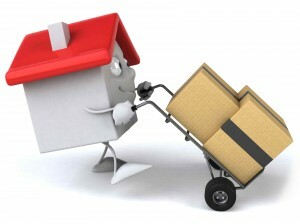 – Moving gives you a good excuse to buy new household items and decoration for your new home. You can completely change the room layout or even buy new furniture and decorative items if your budget allows. – Declutter, it’s now or never! Get rid of unwanted and unnecessary stuff and keep your new home clutter-free. Make more room in your new home for the items you are going to buy in the years to come. Make an inventory of your household goods so as to be able to decide what’s worth moving. – A household move is a perfect opportunity for you to throw a housewarming party and gather your old friends and neighbors and get to know your new ones. Furthermore, it will be a cheerful distraction from all the tasks that need to be completed. Take a break from unpacking, organize a pleasant get-together and have fun with your loved ones. You’ve deserved it! – While exploring your new neighborhood/city you are likely to meet really amazing people and make some friendships. Join local social clubs and organizations where you can meet people who share your interests and preferences. – Once you settle into your new home and once you’ve done unpacking moving boxes and decorating the new place to your liking, you will experience a great sense of satisfaction and achievement. – Moving out from your old home means leaving behind bad memories. It’s time for you to create new memories and experience benefits of a different environment.